‘New’ is a central tenet of the upcoming Walton Arts Center season. 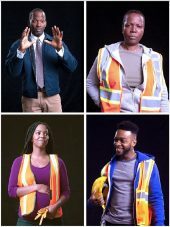 TheatreSquared announces the lineup of plays to be performed in their first year in their newly built facility at the corner of Spring Street and West Avenue. There’s always a bit of risk when you venture into something new. It might be a ‘slight one, a close but not quite one’ for you, but there’s often excitement in the pursuit. A series of six programs will highlight historical events, such as a tour famed musician Johnny Cash took through Fayetteville in September 1968. Years ago, Shreve mentioned to his bandmates that it might be fun to do a Freddie Mercury and Queen tribute show. The idea was promptly shot down. Ingram and Carll will do a total of seven of the acoustic-only song swap shows before Carll closes the year with three full-band efforts. 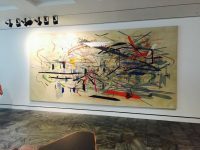 Crystal Bridges has been attempting to bring in Mehretu for several years, but her schedule hasn’t aligned. The additions to the AMP continue its evolution from a small stage to a national draw. In Crystal Bridges Museum of American Art’s newest exhibit, old ideas are made new again.